← A Global Cancer is Spreading . . .
Too Close to See Clearly . 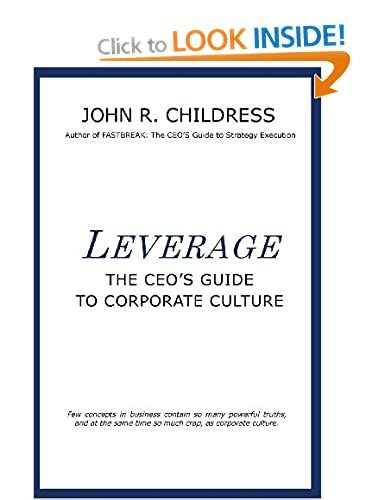 . .
Having just finished the first draft of my latest business book, FastBreak: The CEOs Guide to Strategy Execution, I am now at the part I hate the most, editing and revising. I’ve exhausted the bulk of my creativity over the past several months constructing and writing, and now its over to the equally important, but much less inspiring part. So, like any serious athlete or author, it’s time to hunker down, get disciplined, and plow through it. Writing a book is really a marathon in three halves! The first half is idea formation, research and outline. All the basics are there: beginning, middle, end. Premise, data, conclusion. A stack of examples and anecdotes ready to be inserted, somewhere! This phase typically takes me about 3-6 months in total duration, but certainly not every day. My method is to work intensely for a month just getting things organized, especially the outline, then put the project on my “back-burner” and get on with a few client consulting or advisory engagements. Back-burner is a trick I learned a long time ago, akin to putting a sauce pot on the back burner of the stove, on low heat, to simmer so everything begins to assimilate and blend together. For me I just shove my new outline and story ideas into the back of my mind, where things tend to percolate slowly and bubble up new insights from time to time. Getting out with clients also brings my ideas into contact with the real world and helps me sort out real value from theory or half-baked ideas. During this back-burner period I carry a small notebook and pen with me at all times; on the airplane, in a taxi, on the subway, during meetings, and especially by my bedside at night. Ideas come bubbling up and connections between concepts can occur at the most random of times, so I am prepared (some are useful, others not, but at least I have them captured on paper). Then comes the second half – writing the first draft. This usually takes me about three months and I try to avoid any interruptions longer than a day or two. I need to write everyday to keep the creative juices flowing and to keep a solid connection with my story line. A book, whether it be a novel or a business book, begins to take on a life of its own and the story tends to germinate and grow inside of you. It’s critical to keep the connection between brain and keyboard as open as possible. Stopping for a few days to focus on other things tends to clog up my flow, so I power on, writing late into the night and early in the morning. And like all authors, I set a goal to accomplish so much every day, usually a chapter (I write short chapters). And I try not to edit too much, just get the whole first draft out as fluidly and as quickly as possible. So here I am at the third half of my marathon – editing and rewriting. This is where I need to be disciplined, since it’s not so much about creativity as it is putting myself in the mindset of the reader (my intended audience for this book are CEOs, business executives, leaders of non-profits, anyone who must take a group into unknown or difficult situations to deliver a series of results or objectives). I tend to reread each chapter, asking myself, would my intended audience really understand what I meant by this sentence? this passage? this word? I question everything from their viewpoint. Experience has taught me there needs to be a significant time period between finishing the first draft and beginning the editing phase. Reason? Perspective! During the past three months of writing the first draft I have been, effectively, “smoking my own exhaust”. Each day I keep thinking how great this book is, how clever my paragraphs are constructed, how easy the ideas are to follow. It’s great, a best seller even before it’s finished! (the mind does play cruel tricks at times). So I need to gain some distance, some objectivity, a clearer perspective. I’ve been so close to the book and the ideas I can’t really see clearly anymore. And it’s amazing and humbling when I come back to the first draft after a period of time and start reading it. Sometimes I say to myself, “I can’t believe I wrote that convoluted, upside down, awkward sentence. Boy, this is crap!” And other times I smile and nod approvingly. With perspective I am also able to spot the construction problems with the outline, my flow, my logic, the chapters. So, here I am, head down, eyes straight ahead, fingers on keyboard, grinding out my rewrite. 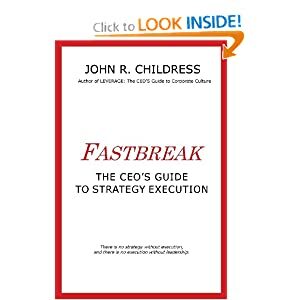 Let’s hope one day soon we will both see the finished product: FastBreak – The CEOs Guide to Strategy Execution. This entry was posted in Human Psychology, John R Childress, John's views on the world, Personal Development, Psychology, strategy execution and tagged back burner, best seller, business books, CEOs, editing, Fast Break, guidebook, inspiration, Lewis Carroll, literature, marathon, new insights, rewrite, strategy execution, writer's block, writing. Bookmark the permalink. 3 Responses to Too Close to See Clearly . . .
Of the varied and many colleagues I’ve worked with over the past four plus decades … you are both uniquely qualified and the best equipped to pound out all three halves of your writing project – an important text on strategy execution. It will be excellent!